DTH services are more preferred over cable network because of the high quality, affordable rates, and undisturbed enjoyment. Directly being broadcasted DTH make its viewers and users enjoy these channels with good quality. There are number of things like satellites, Encoders, DTH receivers, Multiplexer, which works collectively to provide us with good network and picture quality. Now how this DTH works? So, here is the answer; these direct to home services need to be recharged every month for the uninterrupted services and the cost of these recharges are based on the channel you choose for yourself. In a present time for recharging your dish you don’t need to stand in a queue for long hours, online stores like Freecharge, PayTm, Mobikwik and many others offers you with online recharge options of an array of companies like Airtel DTH, Reliance DTH, Dish TV, Tata Sky, and Sun Direct. You no longer need to depend on shops to get your recharge done. Downloading mobile apps of these online stores will keep you updated with the ongoing plans and discount available on the number of offers which will further help you to save your on your purchase. Now every dish connection is HD. Enjoy popular HD channels with every DishTV Pack. Pack Starts at Rs.177 per month. Grab this amazing offer "dish tv 177 pack" and enjoy 7 HD channel free for one month. This offer is applicable for both new and existing users. Now get flat 4% cashback on Tata Sky DTH Recharge and save the money. Apply the given coupon code before it ends. Check out the promo page for more details. DishTV is giving you a special offer. Avail with recharge of Rs.200 or more and get any 2 channels to our pack of your choice. Hurry to avail this offer. Experience the world of the hi-definition set-top box. Order Dishnxt HD Premium Set Top Box at just Rs.1950 and enjoy the deal. Also get the 1-month subscription, coupons worth Rs.2000 with 50 HD channels and warranty. Enjoy free lifetime warranty. Visit the store and get 4% cashback on Videocon DTH Recharge. You may get maximum cashback of Rs.200. Coupon code is also available. Offer is applicable only on DTH Recharges. Cashback will be credited within 24 hours of the transaction into user's paytm account. Recharge on-time to make a child's future bright with DishTV and Ekal Vidyalaya. When you recharge your DishTV on time, some percentage of that amount is donated to Ekal Vidyalaya. Hurry to join hands with DishTV and support the Ekal Barat mission. Recharge now on Digital TV and get infinity pack at just Rs.5,500. Also get all HD and SD channels for one year. Check out the landing page for more details. Direct to home services is all about satellites programs with the personal dish at an individual home. Now you no more will have to face problems like low image quality, undulated disconnection of network and have to watch a limited number of channels. 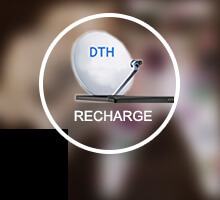 DTH services which are offered by the leading service providers bring you with a reliable network and standard quality. Unlike cable connection you don’t need to pay each month, DTH will offer its customers with a number of packages and online recharge options. You can also skip your recharge for a number of months if you don’t want your services in a period of time. Further, DTH being connected to leading service providers like Videocon D2H, Tata Sky, Airtel and others offer you with a number of options. You can choose the services your desired brand and enjoy unlimited services at an affordable range. Get additional pack subscription for 15 days. Get additional HD channel pack for 15 days. Get SVOD Service (Miniplex&SadabaharHitz) worth Rs. 99/- free for 1st Month get and also get 15 days additional pack subscription. HD set top box is priced worth Rs2020 /-*. Free HD add-on worth Rs 175/- for one month. One month free subscription of channels worth Rs 435/-*. At no additional cost, you can enjoy Tata Sky Bollywood Complimentary. 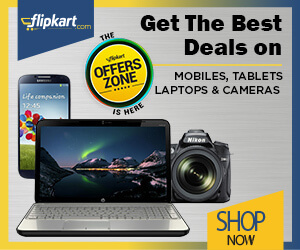 Grabbing Discounts – These online stores offer you with awesome discounts time to time. Online stores like Mobikwik, Freecharge, Easymobilerecharge, Recahrgeitnow, Tata sky, Justchargeit, VideoconD2H, Paytm, and others offer you easy DTH recharge options with a number of discounts and offers available on the recharge options. Sitting in your home or your workplace you can get your recharge done just with a few clicks. Downloading mobile app of your desired stores will let you keep yourself updated with the ongoing discounts and offers. Be it a six-month pack, monthly pack, yearly pack or other packs you can get them easily recharge at these online stores at affordable range and number of discounts available on them. Most DTH service providers will offer you best option son their combo packs and will let you enjoy unlimited services sitting at your home. These pocket- friendly solutions are less time-consuming so if you’re TV is in need of urgent recharge choose the best plan and enjoy your services.